Pantheon enables the American Civil Liberties Union (ACLU) to weather traffic spikes while providing infrastructure to support the organization. For nearly a century, the ACLU has worked in courts, legislatures, and communities to defend and preserve the rights and liberties granted by the Constitution. More than two million members, activists, and supporters depend on aclu.org for unfolding news and crucial information. The ACLU relies on Pantheon for an agile workflow and flexible hosting that can handle major traffic spikes. Since 1920, the American Civil Liberties Union (ACLU) has worked to defend individual freedom. The organization’s flagship website, aclu.org, plays a vital role in fundraising and keeping the public informed. In 2016, Marco Carbone, Associate Director of IT at ACLU, monitored the website intently as presidential elections drew thousands of times more traffic than normal. Although he had anticipated a surge in traffic, it was hard to imagine just how big it would be. Thankfully his team had already moved to Pantheon’s best practice development workflow and high-performance hosting, allowing them to safely weather the increased public interest that election season brought. If we had to keep up with DevOps, we wouldn’t have time to focus on the challenges of this new political environment. The past five years have seen unprecedented growth for the ACLU. When the election cycle began in earnest in 2016, interest in the organization skyrocketed. But that was just the beginning. Visitor numbers continued to climb at unprecedented rates as inauguration day drew near, with record-breaking donations pouring in through the site. 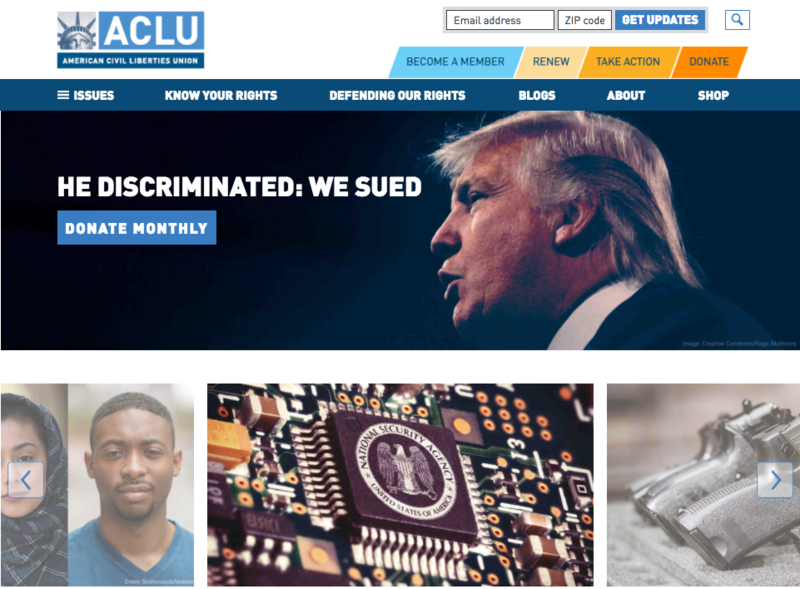 Through it all, the ACLU has relied on Pantheon’s hosting infrastructure and development tools to keep the site running smoothly during even the biggest traffic spikes—ultimately allowing the team to focus on creating and executing timely campaigns. The ACLU’s website is the organization’s primary communication channel. They use it to inform the public and encourage action among a wide variety of audiences including donors, activists, members, and, most importantly, those who are directly affected by the organization’s work. We need to be in front of big news stories to incite action. If the site goes down, we miss the opportunity to serve information to those seeking it. From the popular Know Your Rights section of the site, which educates on citizens on their constitutional freedoms, to critical polling and voting information during elections, everyone from protesters to LGBT high school students to breastfeeding mothers turns to the ACLU for up-to-the-minute resources. It’s not just the main ACLU website that needs to perform. The organization has dozens of affiliate sites to support on their hosting solution. And as far back as 2013, Carbone and his team were struggling to meet increasing demands on their infrastructure and development workflow. In 2013, aclu.org was straining against the hardware limitations of its managed hosting solution. An organizational push for more high-visibility campaigns was leading an unexpected level of traffic to the site. Frequently, these traffic spikes would slow down—or even take down—the site. Structural issues in the site’s design added to the hardware woes. The site used core Drupal search for its user search solution, which meant that just a few users searching at once could slow down the site. That vulnerability made the search bar a tempting target for malicious users, too. The organization looked for solutions with their existing host, but found their response less than satisfying. 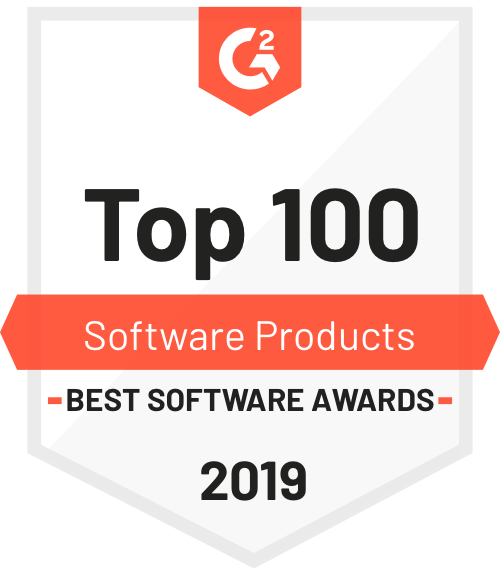 “We would go to [the vendor] and they would recommend more expensive hardware, and it would take weeks and weeks to get it ready to go,” says Carbone. After a few rounds of time-consuming, costly upgrades, it was clear they needed a better solution. As an experienced Drupal developer, Carbone knew Pantheon had been a fixture of the Drupal community for years. He had seen firsthand the advantages of developing Drupal sites on Pantheon and was ready to solve the ACLU’s infrastructure issues for good. The team looked into all the options, and ultimately Pantheon won out. Traffic started its upward trend during the debates but didn’t reach alarming levels until the week of the election, where it peaked at 2,500% higher than normal levels. On inauguration day, it was still nearly 1,000% higher than average. From there it just kept going. When the president announced the border wall executive order, it surged 500%. The biggest spike of all came with the administration’s travel ban, when traffic climbed to an incredible 8,500% of its normal volume and led to donations of six times the organization’s yearly average over a single weekend. Pantheon has scaled seamlessly for the huge post-election traffic spikes that we’ve seen. Pantheon’s scalable, high-performance hosting enabled the site to stay live throughout these surges. With zero outages and solid performance, the organization was able to ride the wave of newfound interest in US politics. Today, they continue to meet heightened traffic demands, monitoring performance using New Relic Pro on Pantheon. Even if the ACLU hadn’t needed to scale so quickly, they were already looking for a way to create better development workflows. Marketing at the organization depends heavily on being able to immediately update information for visitors and launch timely campaigns as breaking news brings different issues into the spotlight. To make this level of agility a reality, Carbone migrated aclu.org, along with 20 affiliate sites, to Pantheon. They now use the Multidev feature to manage all of them. They’ve even created a custom Drupal distribution and set it as an Upstream on Pantheon, making it easy to spin up new sites for affiliates on demand. When marketing needs to go into overdrive, the site’s infrastructure no longer stops them. Team members can quickly publish site updates to call their members and donors to action. They can launch email and social campaigns that require new site content without relying on engineering resources or wondering if the traffic they generate will bring everything down. Marketing can easily update time-sensitive campaign content and CTAs. With Pantheon’s support, the ACLU has transformed the way they respond to the rapidly-changing needs from their diverse audience. Carbone and his team enjoy a better workflow, lower security risk, and greater confidence in the performance of a site that keeps millions of US citizens informed and empowered. Spin up a Drupal or WordPress site in minutes. Get your free account now.